As many of you lovelies already know, the arrival of the new Topshop make up has been causing somewhat of a frenzy amongst us cosmetics obsessed folk. As usual, the teeny Topshop branch in Halifax hasnt yet got the make up line in - so I promptly placed an online order in order to see what all the fuss is about! 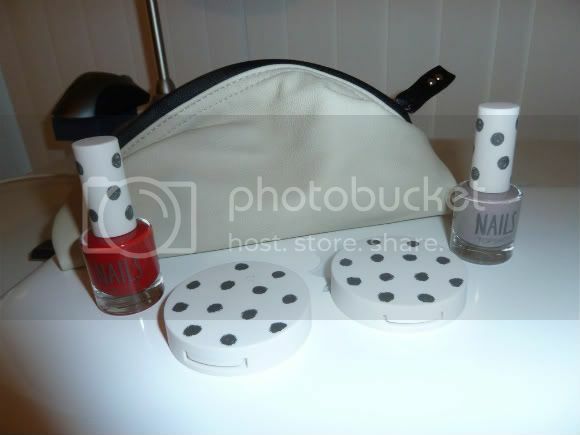 So I ordered 2 of the cream blushes and 2 of the nail polishes. I also got a free make up bag with my order which I thought was rather nice! 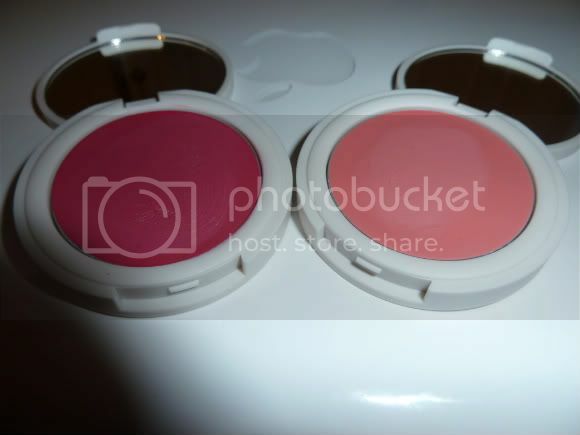 So these are the 2 blushes I ordered Pinch on the left and Flush on the right. And here we have Pinch, a much brighter pink but still believe it or not extremely wearable. I have worn this for the last 2 days and I really like it. 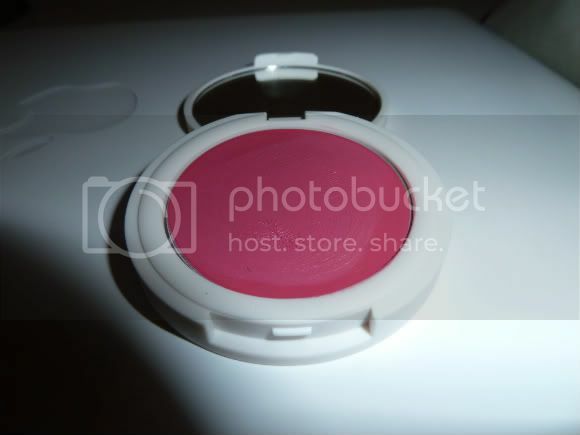 Its akin to a Mac Pro blush I own called Azalea, or the Mac Hello Kitty Blush Tippy. 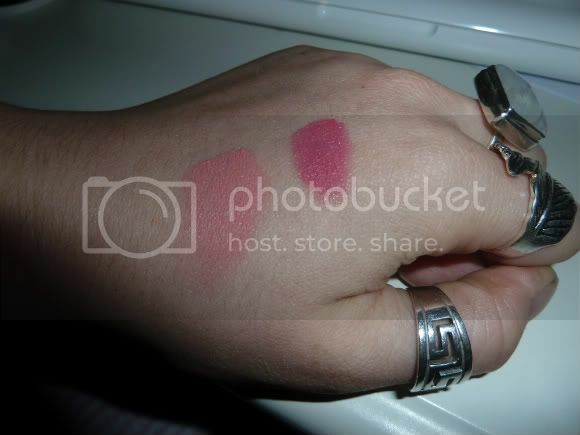 Here are a couple of swatches of the blushes - as you can see they have a nice pigmentation, and the colour pay off is equal to the colour you see in the pan. I also really like the formulation of these blushes - more of a cream to powder finish as opposed to some of the Mac cream blushers that are almost bordering on greasy, and sit on top of the skin. 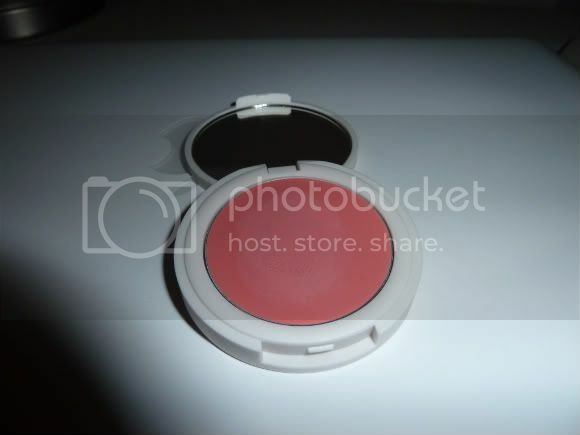 Although I have to say Mac Lady Blush is one of my favourite blushes..... I digress. These blushers were £6 a pop which I personally think is about the right price for the product you are getting. I havn't tried the nail polishes as yet - I'm giving the red one away (Pillar box) and havn't had time to try the lovely mink shade (Big Smoke) so I will update you on that when I get chance. A final note on the range, from what I've heard I believe the star products in this line are the cream blushes, so I'm glad I didn't place a huge order. Also I have to confess, I'm not loving the packaging. Its not a big deal but I feel like the packaging is trying to be "cute" but failing miserably. For me I would have preferred Topshop to woo us with something a little more.... Sassy, Stylish, Chic? To be honest, I'm a sucker for packaging, any gimmick gets me going, I'm a marketers dream, but I do think Topshop could have done a little better with the packaging design for this range. Have you bought any of the Topshop Make Up Range? What do you think? I think this make up is really good. For a fashion store to have quality make up is a first. And yeah the packaging isn't as good as I thought it was but then I guess it kind of matches the price range. I like the packaging! I got a nail varnish & the felt tip liner. Overall it wasn't very impressive though, a bit of a let down after what it could have been.